joker | Who Said Life Wasn't Complicated? I know a number of people who were disappointed with the character of Bane in The Dark Knight Rises. Some had issues with his voice but many felt he had no presence and paled in comparison with the Joker. 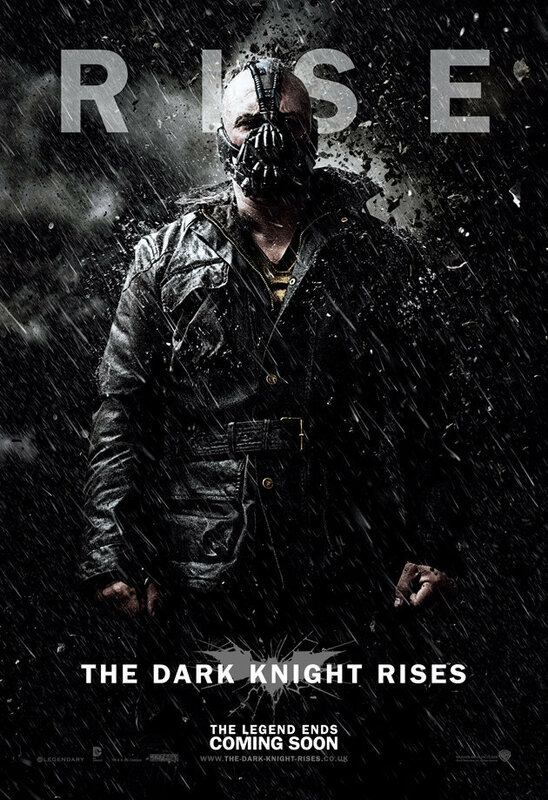 One reviewer complained that Bane was too similar to Batman. I think that was the point. I believe that Bane is the yang to Batmans ying (just as the Joker was). Bane is what Batman could have been had he chosen to follow the league of shadows. Film critic, Mark Kermode made this interesting comparsion. Batman wears a mask and has his mouth in his full view but Bane has his mouth covered and his face in full view. They are opposites. They are versions of each other. I think that’s the great thing about the villains in these Batman films. Each of them are versions of Batman. Each of them are what Batman could have been. We cannot change many of the situations and events that we encounter in our lives. Both Batman and Bane ended up in the pit. But we can change how we react to those events. Batman chose one path and Bane chose a different one. How will you deal with the situations that you come face to face with today? Every time an atrocious incident takes place (eg the Colorado shootings) films are blamed. Many people have come out to complain about “The Dark Knight Rises” and how it is responsible for corrupting minds with its violence. What the writer seems completely unaware of is that in Nolans’ series of Batman films, the filmmakers are keen to state that it is because of Batmans violence that more violence takes place. The violence in the Dark Knight series escalates because of Batman himself. If there were no Batman there would be no Joker, there would be no Bane and there would be no (spoiler) Talia Al’Ghul. These people exist because of Batman. The Joker strikes Gotham to show Batman that every one of us will be come a blood thirsty murderer if pushed far enough. Bane and Talia want to destroy Gotham because Batman killed Raz Al’Ghul. These films demonstrate the circular nature of violence. These films are not pro-violence. This is a great message to discuss with young people. Where does violence take us? Does it really get us anywhere? In fact, the only way that evil is dealt with in these films is through sacrifice. It is Harvey Dents supposed sacrifice (really Batmans) in the Dark Knight that leads to the Dent Act that removes criminals from the streets and it is Batmans sacrifice at the end of the Dark Knight Rises that brings victory. The Batman films, rather than promote violence, shine a light on its fallacy and show that the myth of redemptive violence leads us straight to the pits of Bane’s hell. We all love a good ending don’t we? The problem is, Hollywood (and every other network) does not seem to want to give us one. 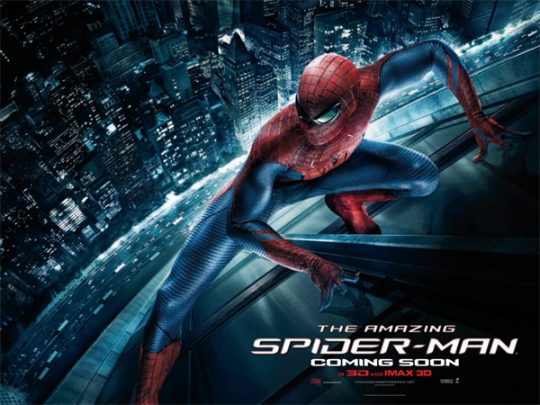 This Summer we have had ‘Snow White and the Huntsman‘, ‘Prometheus’ and now ‘The Amazing Spiderman‘ which all fail to tie up loose ends in the hope that we will tune in for another installment. And it’s not just films that are guilty of this. I enjoyed the six part ‘Hit and Miss’ drama on Sky Atlantic a couple of months back until the last episode which refused to tie up any plot strands and left us instead with a “second series cliffhanger”. Can’t we just have a TV series that ends well and doesn’t force us to watch the next series in the hope of some resolution? The truth is, this is nothing new. Films and TV shows have been doing this for years. I gave up on ‘Lost’ a number of years ago after failing to resolve any plot strands after two seasons. This probably all sounds like I’m against ‘cliffhangers’ in TV shows and films but I’m really not. There are plenty of TV shows and films that weave it in successfully. I enjoy ‘Fringe’, ‘Dexter’ and ‘Breaking Bad‘ and they all tease another series in each of their season finales. Films like ‘Batman Begins‘, ‘X-men 2’ ‘Spiderman’ (admittedly all super hero films) all end with a sequel tease and, in my opinion, pull it off well. In fact, I think these examples make the film better. So why do some work and others don’t? Films and TV shows need to be able to stand alone. If I choose not to watch the next series or the sequel, I need to feel like that film or series’ main plot strands have been wrapped up. Let’s use ‘Batman Begins’ as an example. 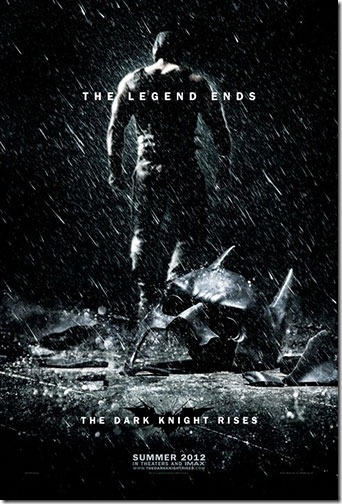 At the end of the film, Bruce Wayne has become Batman and the villain (Raz Al’Ghul) has been defeated. The films’ main plot has been resolved. 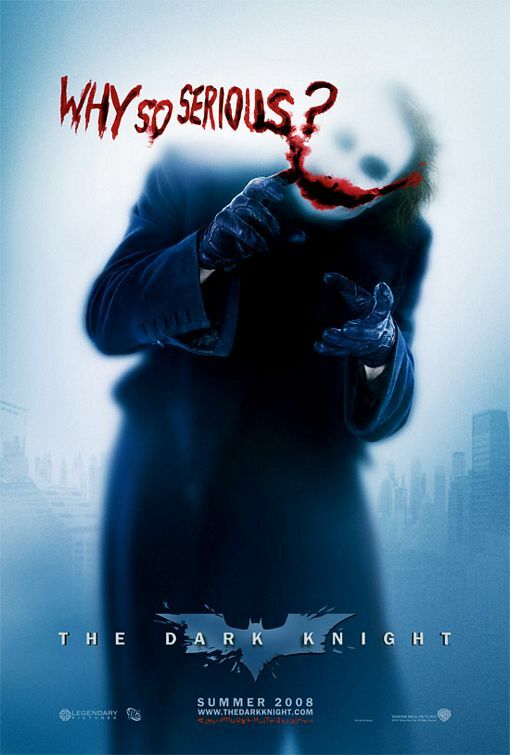 Yes it then sets up the introduction of The Joker but if I decided never to see ‘The Dark Knight‘ I’d be happy that the film delivered what it set out to accomplish. The problem comes when a TV show or film fails to tie up its main plot strands and expects the audience to tune in to the next series or sequel to find resolution. That’s not right. I’ve spent my money; I’ve sat through a series; I expect a conclusion. For me, I have similar ideas when it comes to my Christian faith. I like doubt. I like questions. I like the grey areas of faith. As a youth worker, I walk the fine line between answering all of the young peoples’ questions and leaving room for ambiguity. Faith shouldn’t be wrapped up in a neat little box. We shouldn’t be able to answer all of the questions. We need to leave room for the ‘what ifs’. We need to need to help young people find some answers but also leave them wanting more. It’s okay not to resolve all the ‘plot strands’ of the christian faith but we need to be sensitive to the young people we work with in order to know which ones to resolve and which ones to leave open ended. Should Christians Be Causing More Chaos? I watched “The Dark Knight” again last night and I am still pretty much in awe of it. Both as a film and as a series of ideas, of which there are many. This time around what I was most intrigued by was the Joker’s conversation with Harvey ‘Two Face’ in the hospital. He said, and I paraphase slightly, that when things go according to plan, everything is fine. People Don’t react. But when you don’t follow the plan, you bring about chaos. Christians, by there very focus on the hope of the Resurrection and the eventual return of Christ and the merging of Heaven with Earth do not follow the plan of the world. We see things differently. Should we then be causing more chaos? As a youth worker seeking to discuss with young people the hope of Jesus, should I be encouraging them to cause more chaos by the way they act? To the point, is there such a thing as good chaos?